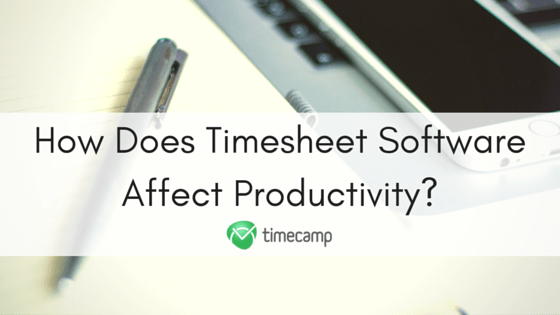 How Does Timesheet Software Affect Productivity? Home » How Does Timesheet Software Affect Productivity? Many businesses address the increase in productivity as their primary goal because in most cases this means success. The businesses are therefore looking into ways to achieve productivity. One way is to use Timesheet software which can help the managers to have a better perception of their employee productivity. It is no wonder that the most productive employees are unaware about how much unnecessary time they have spent on the task which was unimportant. The timesheet software comes handy and gives valuable insights to the employees. It is a great tool to calculate the amount of time spent on a particular task. The employees can also correlate this and would be better informed about their lacking and weaknesses. Thus, timesheet software provides illuminating insights to the workers, which can potentially result in an increase in productivity. 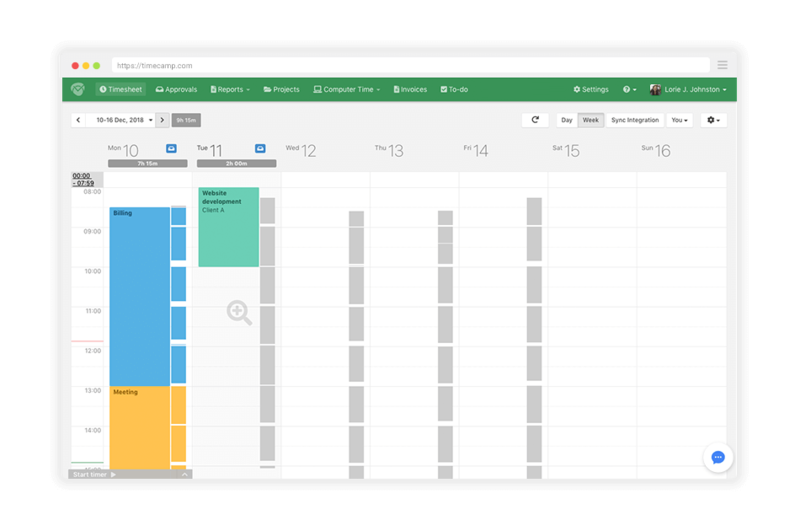 TimeCamp has two types of timesheet: textual timesheet which basically looks like a simple table and graphical timesheet, calendar-like way to track your time. Timesheeting software ensures transparency between the business and their clients through providing detailed reports to a client regarding what they are paying for. The client billing is an important feature of timesheet app which helps to see the client the amount of time the business has spent on their task and evaluate potential budgets. A business can also provide accurate rate with timesheet software regarding the amount of hours spent on the client’s task. You can calculate how many hours from timesheet you work a day. This will help the business to manage their resources efficiently and increase productivity in order to validate the reports. Tim tracking software can help the business to detect what mistake has been incurred and where the issue has occurred precisely. For example, a manager can review and look at timesheet to determine whether the failing was because of misassigned employee or it was the result of not enough time spent on a particular task. This will help the business to find the remedy and ensure the past mistake is not repeated in future. It will also increase the overall productivity levels once the mistake is detected. 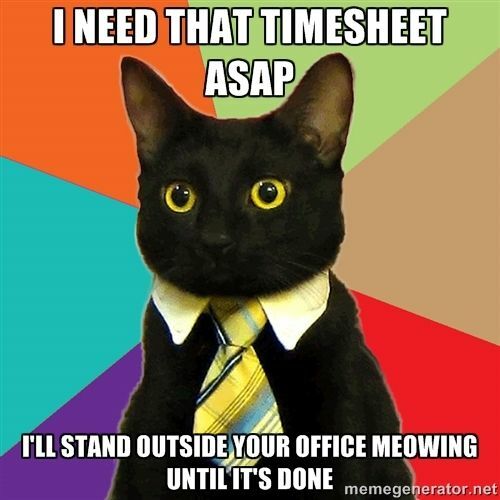 Timesheet software is an important tool for resource management. It will help the business to measure their working capacity and how they can plan the resources to reduce costs and increase the overall productivity levels. It also gives deep insights on employee performance and utilization. Timesheet software is increasingly being in demand by the business that is looking for ways to improve their productivity levels. This kind of software helps in calculating an accurate bill and detecting the causes and potential solutions for underperformance and errors in judgment. Thus, timesheet software is an ideal tool for any business that is looking for efficient ways to handle the task and hoping for client transparency. Avoiding mistakes in time management is easier than you think. One you should do is to choose a right time tracking software! Thank you very much for this good explanation. Please keep telling us about the new technology in the same way. It’s really a nice and helpful piece of info. I’m happy that you shared this helpful information with us.